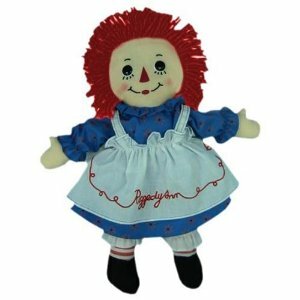 Before Bratz dolls and before Barbie and friends, there was Raggedy Ann-an old-fashioned gal who wore bloomers, button boots and a pinafore. A little behind the times fashion-wise, yes...yet the doll has a kind of timeless appeal and for very young children, she still presents as a simple, friendly face with a cosy, huggable body. 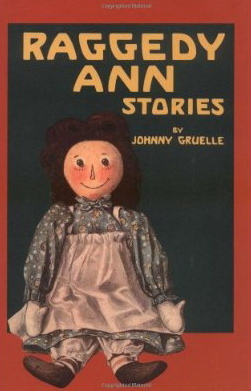 Raggedy Ann was the creation of writer, artist and political cartoonist, Johnny Gruelle, who came up with the concept of creating a fictional book character and selling the story along with a doll. The first Raggedy Ann book went on sale in 1918, though the doll had been patented as early as 1915 and as both doll and book proved to be very popular, a whole series of stories followed. It was a clever idea, as it meant the doll came with a fully formed character that children could recognize and relate to. In the books, Raggedy Ann was given a 'candy heart', which was the source of her sweet good nature and according to some reports, early batches of the dolls did indeed have a real confectionery heart sewn inside. (see Patricia Hall's history of Raggedy Ann). As the Raggedy Ann books and dolls continued to sell well, It wasn't long before a brother Raggedy Andy was added to the mix and in the 1920s Andy and Anne began to be sold together as sets, as they were in the decades that followed. According to legend, Gruelle's young daughter had found an old rag doll, bereft of a face, in the attic. For his daughter's pleasure, he drew a face on the doll and named it Raggedy Anne because it was old and a little the worse for wear. His daughter, Marcella, so loved playing with the doll that Gruelle reasoned other children probably would too, so he set about creating a saleable version he could market along with stories about the doll. It's a charming story but there is a rather sad aspect to the history of the doll - Gruelle's beloved daughter died from diphtheria at the age of 13, leaving him desolate and grief stricken. Apparently, the only thing he could stand to have close to him was the original Raggedy Ann doll Marcella had so enjoyed playing with. If true, I supposes that for him, it was a meaningful reminder of the relationship he had with his child. 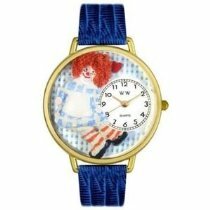 So enduring is Raggedy Ann's sentimemtal legacy, that she continues to be given to children today, almost a hundred years after her inception. Perhaps because she is such a fondly remembered toy; as each child grows to become a parent, they want to recreate the memory for their own children. Or maybe it's just that the simple, uncluttered rag doll concept is a such pleasant standout among all the flashier but sometimes shallowly conceived modern dolls.